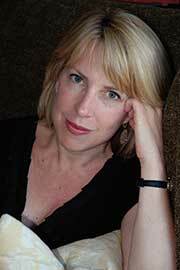 Christina is the author of five novels, including the #1 New York Times bestselling Orphan Train (2013). Her other novels include Bird in Hand (2009), The Way Life Should Be (2007), Desire Lines (2005), and Sweet Water (1993). Her essays, articles, and reviews have appeared in The New York Times, the San Francisco Chronicle, Money, and Psychology Today. Christina was born in Cambridge, England, and raised there as well as in the American South and Maine. She is a graduate of Yale, Cambridge, and the University of Virginia, where she was a Henry Hoyns Fellow in Fiction Writing. She has taught fiction and nonfiction writing, poetry, English literature, literary theory, and women’s studies at Yale, NYU, and Drew University, and served as Writer-in-Residence at Fordham University for four years. She supports a number of libraries and other associations in New Jersey and Maine, and is a member of the Advisory Board for Roots & Wings, a nonprofit that provides support for at-risk adolescent and aged-out foster care youth. Christina lives in Montclair, NJ, with her family.